Gurudev Dr Kateswamiji : To prevent the mahāmṛtyuyog (that is the phase or time in which one can die shortly after recovering or escaping from some desperate sickness or alarming danger.) of H.H. Dr Athavale and to remove obstacles in the Divine mission of spreading Spirituality worldwide; Gurudev Dr Kateswamiji performed chanting, sacrificial fire, reciting stotras or hymns like Saptashati, etc. till He renounced His body in 2010. He was a prolific writer and his teachings about the nation and Spirituality (Hindu Dharma) will contribute towards the welfare of the whole world. Yogtagya H.H. 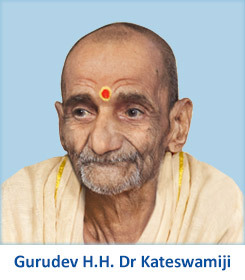 Dadaji Vaishampayan : Yogtagya H.H. 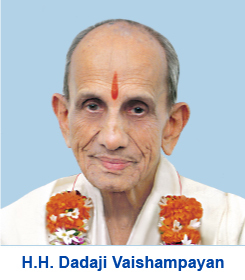 Dadaji Vaishampayan is a very big pillar of strength for us. 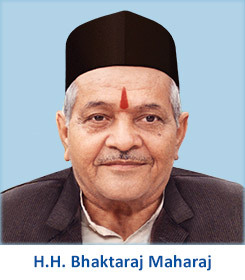 He has been performing spiritual practice such as chanting, anushthan (a religious ceremony or undertaking), etc. since 2004 to prevent the mahāmṛtyuyog of H.H. Dr Athavale and to remove obstacles in the Divine mission of spreading Spirituality worldwide.